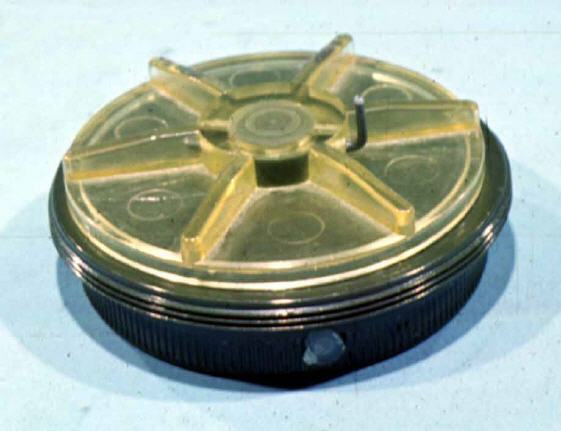 This Anti Personell mine is completely nonmetallic. Height: 28mm , diameter: 89mm. Weight: ? gram. Filling: 51gram Torpex. This A/P mine is also being used as the fuze on the Belgian A/T mine. 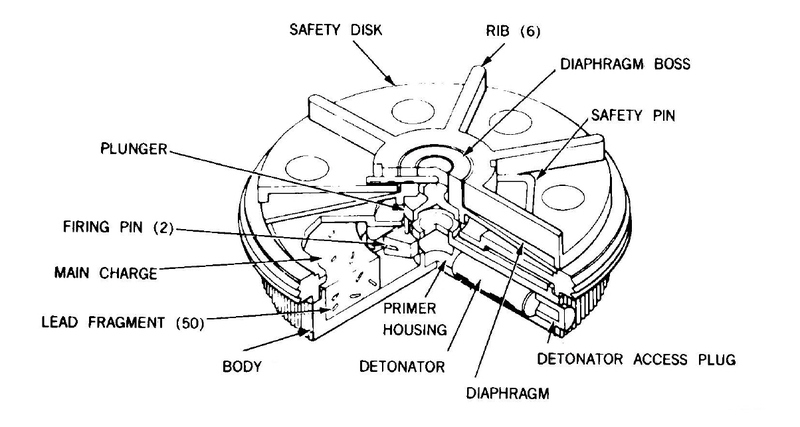 The A/P mine is secured to the top of the PRB-IV , as a fuze, and when initiated, both mines will be set off.